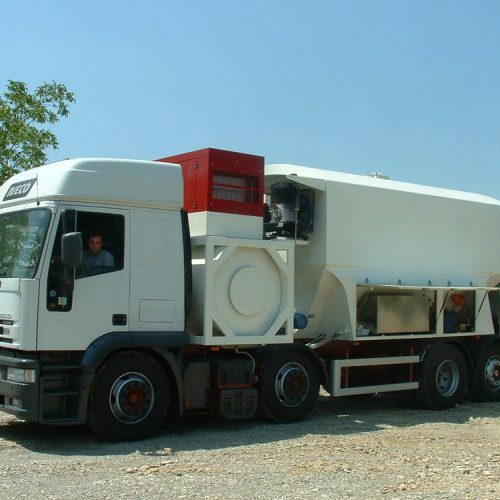 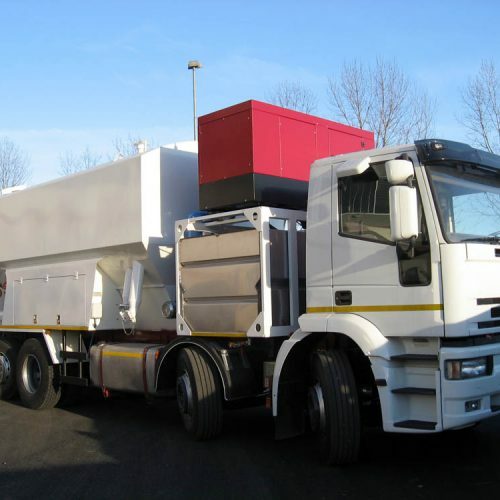 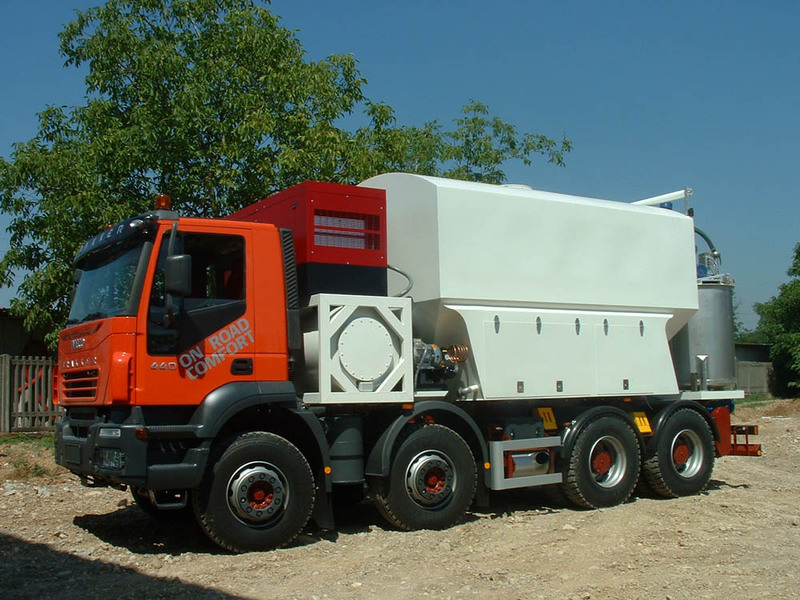 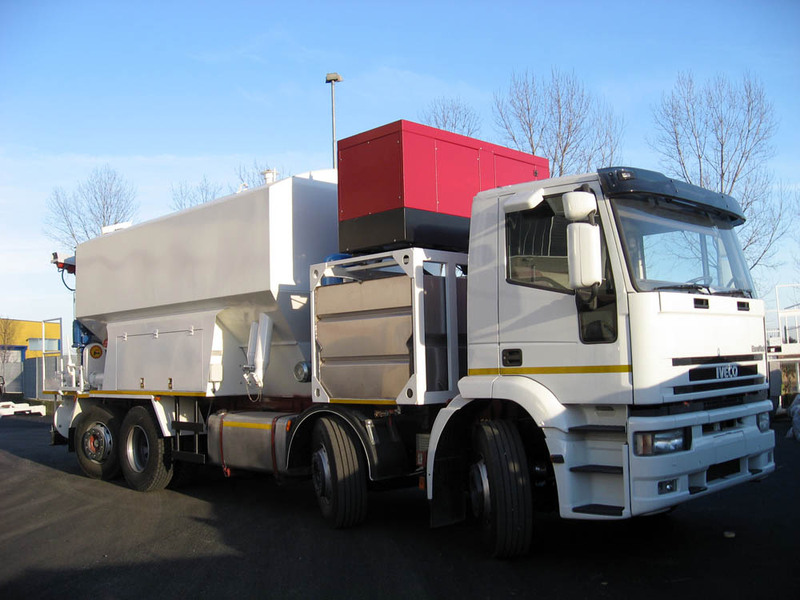 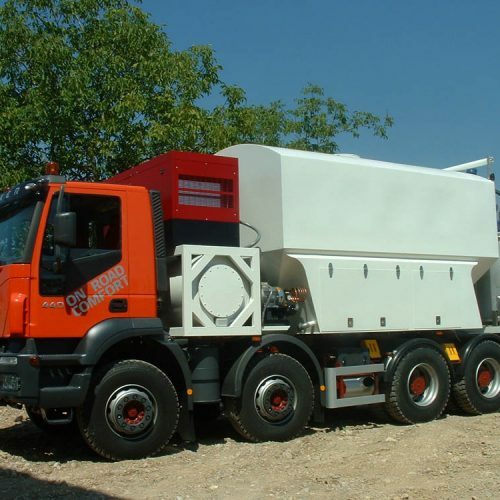 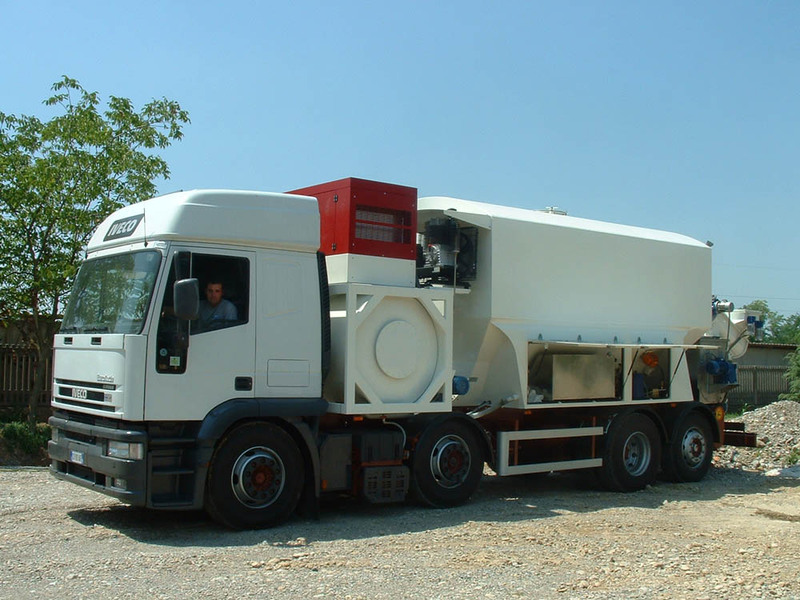 A HEAVYWEIGHT FOR MIXING AND PUMPING CELLULAR CONCRETE. 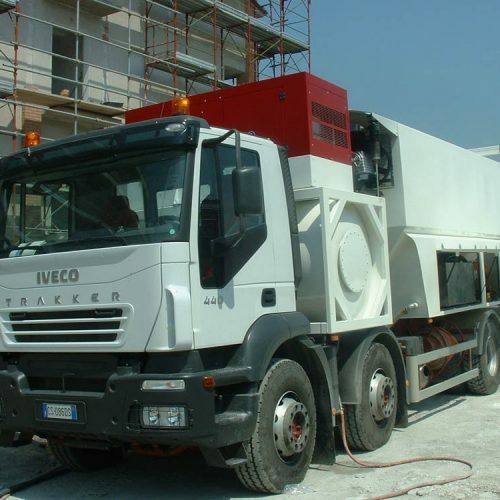 Thanks to the imposing dimensions, with a load of up to 28 metric tons of concrete and 3000 litres of water, as well as a design thought out to the smallest detail, in order to guarantee maximum function, the C-02 machine for screeds and insulators in cellular concrete ensures unparalleled production performance in mixing and pumping cellular concrete, with a continuous volume of up to 35 m3/hr. 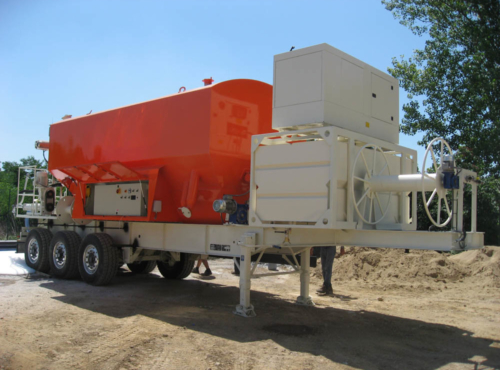 This is a machine for screeds and insulators in cellular concrete, equipped with an internal generator, an auto-diagnosing device, SIM card and a modem in the electrical panel (optional). 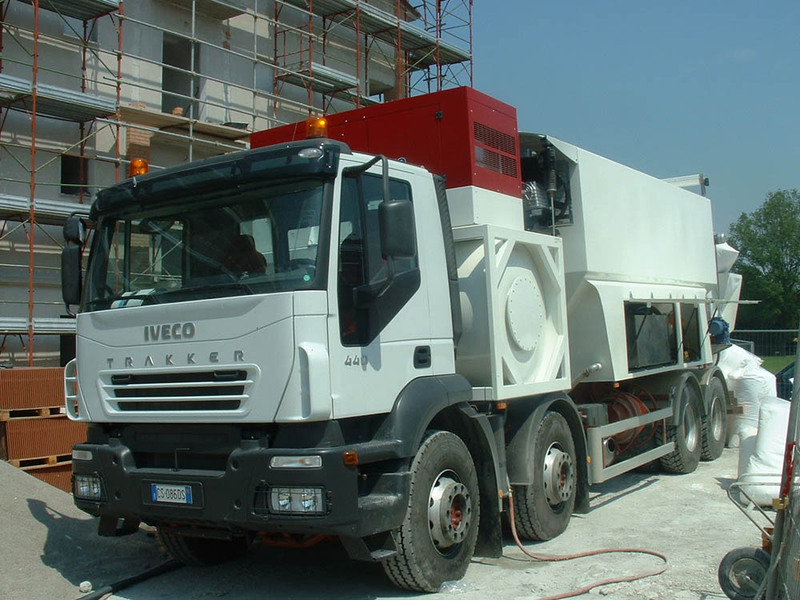 C-02 makes our clients totally independent on site, but thanks to the remote control, ensures technical support in real time. 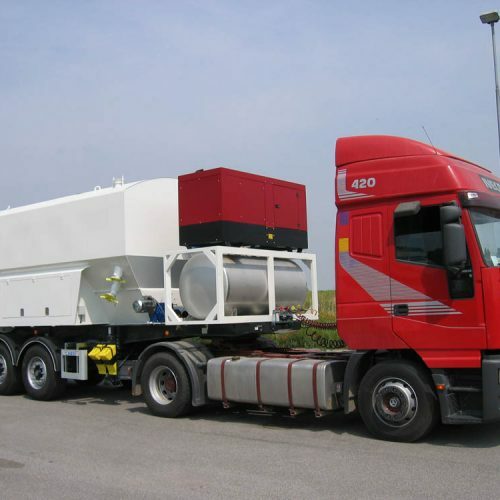 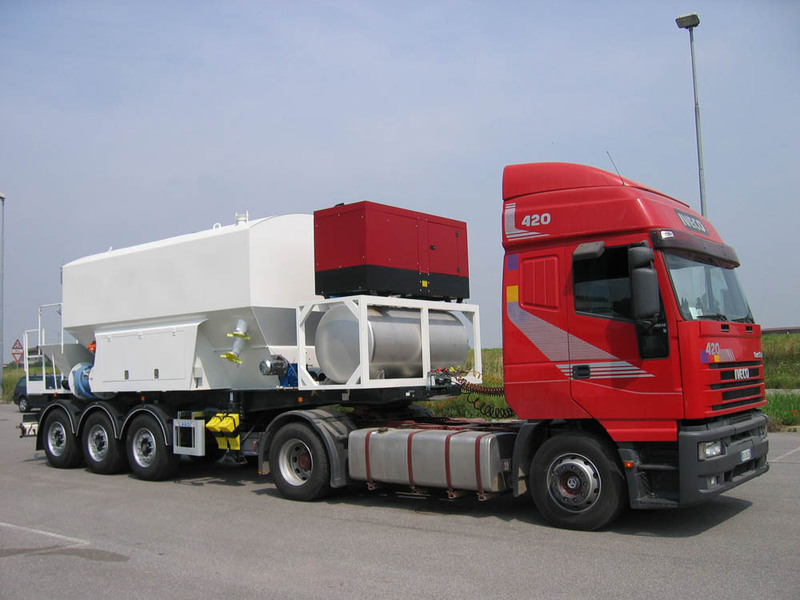 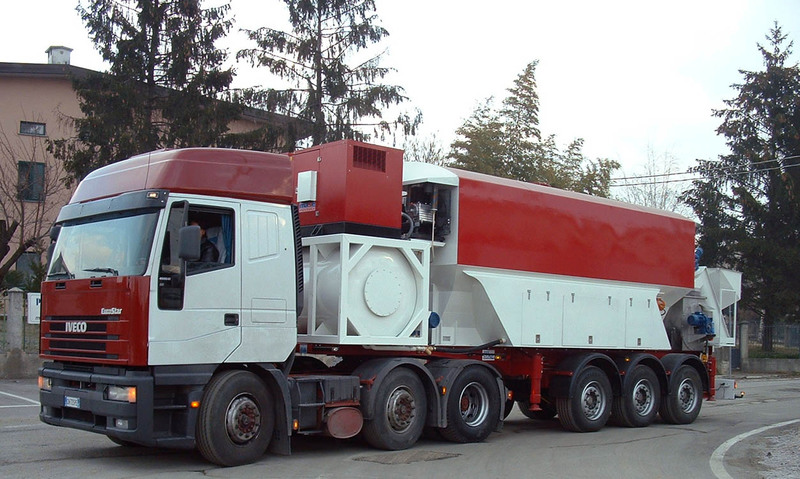 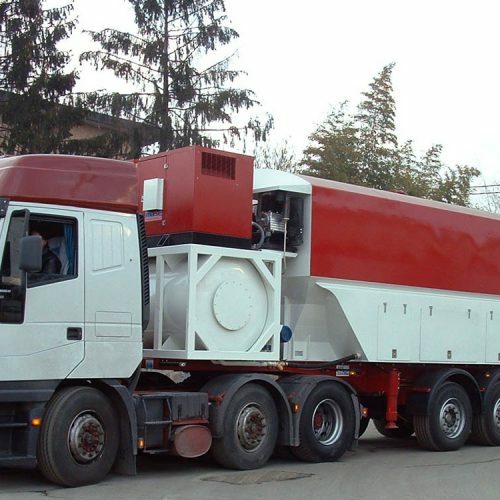 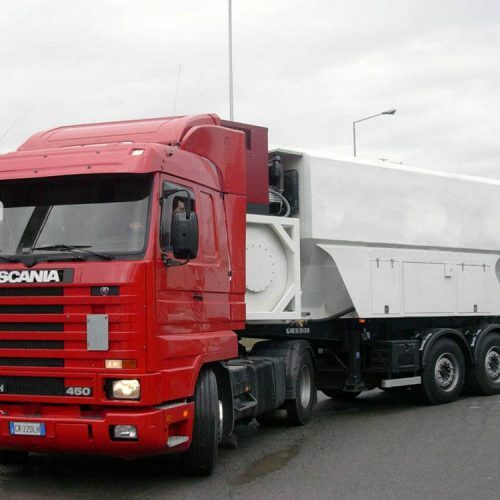 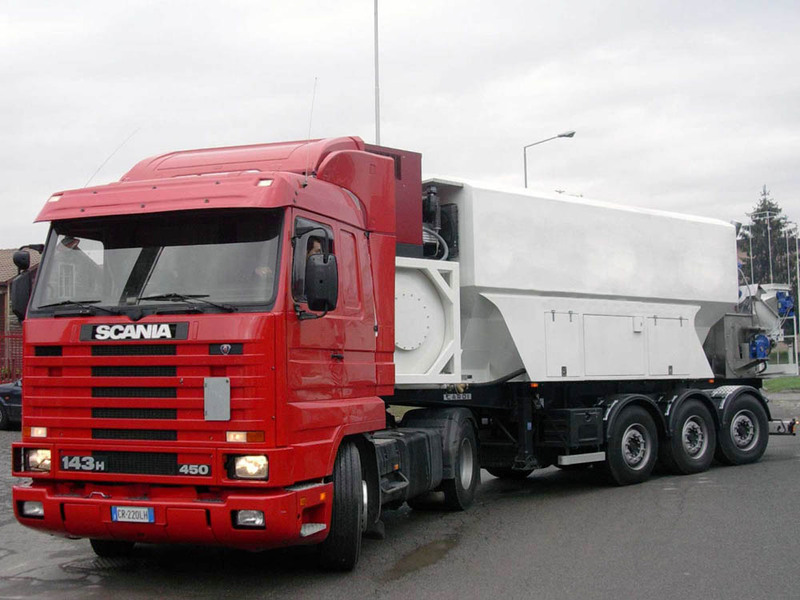 The plant can be assembled either on a 4-axis trailer or on a semi-trailer. 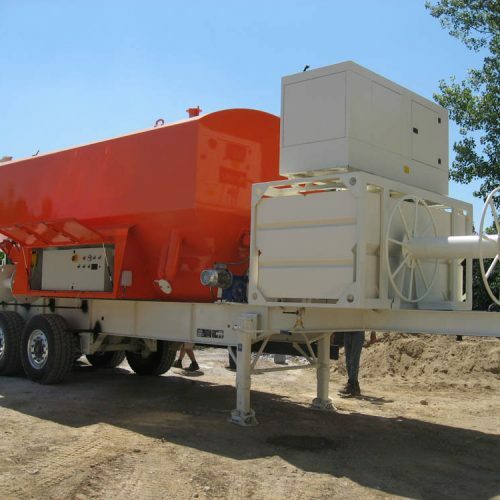 Production and pumping of cellular concrete directly on site.